Jetsetter is the perfect, all-aluminum, fast cruiser. 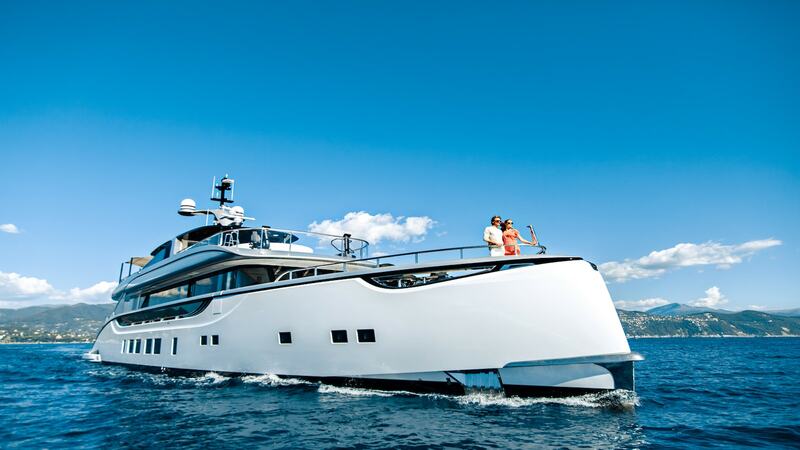 Built on a 40m (131′) platform with a comfortable round bilge hull and a shallow draught of just 1.75m (5’9”), she is the ideal family superyacht for cruising the Mediterranean, Caribbean or Asian Pacific. Her transatlantic range of 3,000 nautical miles means the yacht can voyage between Caribbean and the Med on her own bottom to make the most of two cruising seasons over the course of the year. With the largest sundeck in her class (120m² | 1,291 sq/ft) and five very spacious staterooms, she is the epitome of versatile luxury in a user-friendly and relatively compact package. A unique SuperYacht for Sale!